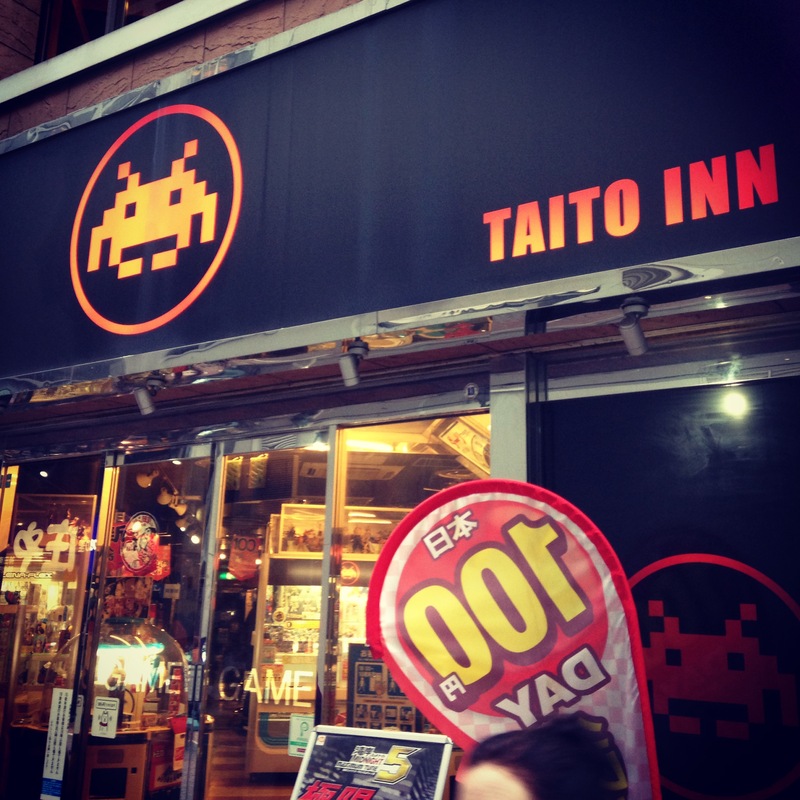 So first off is Super Potato, this place is a bit pricey, but it’s a must-go for all retro gaming enthusiasts! 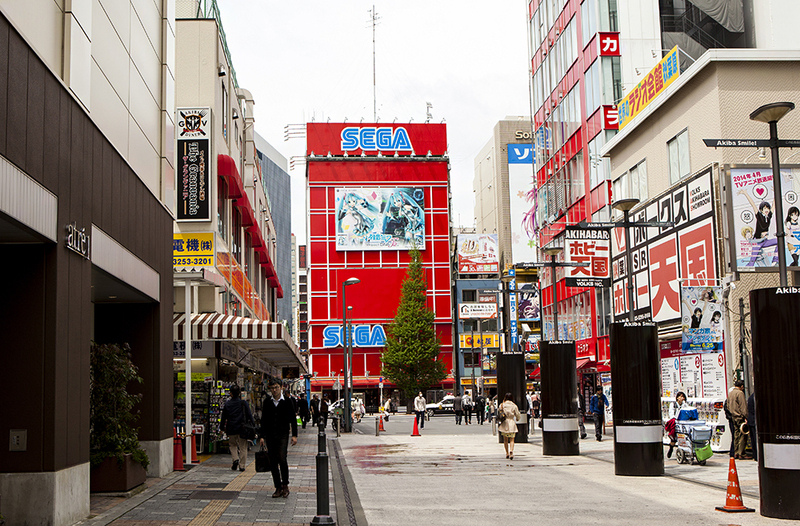 It’s located on the street behind the two SEGA buildings. 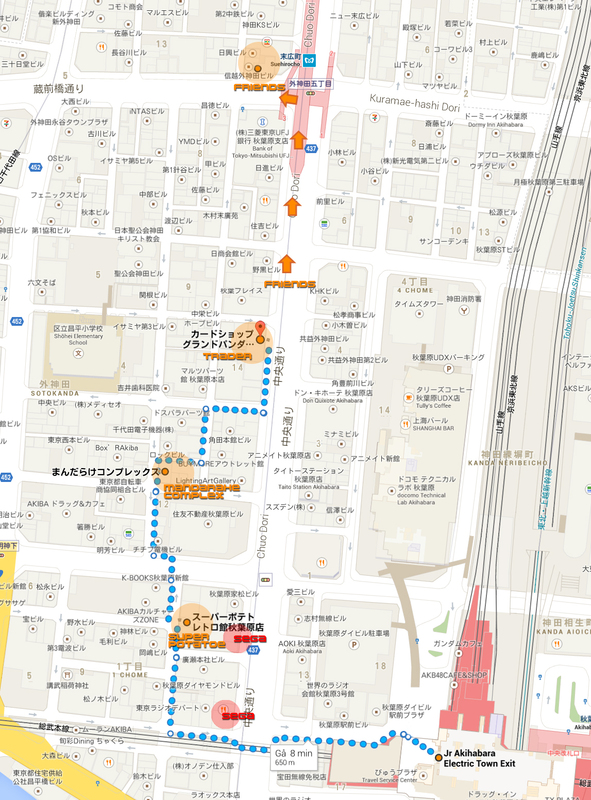 It’s kind of hard to find the entrance since it’s quite small and you won’t really see the signs for it unless you look up (or can read japanese). 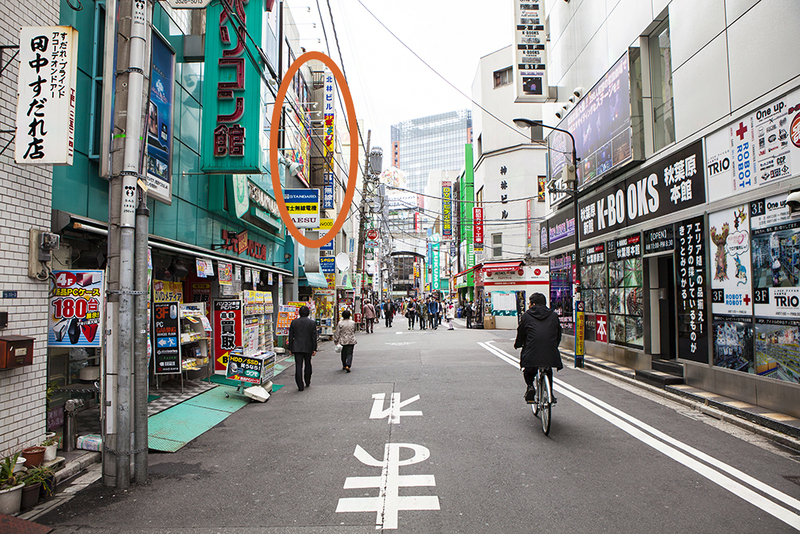 It’s down on this street, I’ve located it with a circle, however if you go on the route of the map it will be on your right side instead of left. 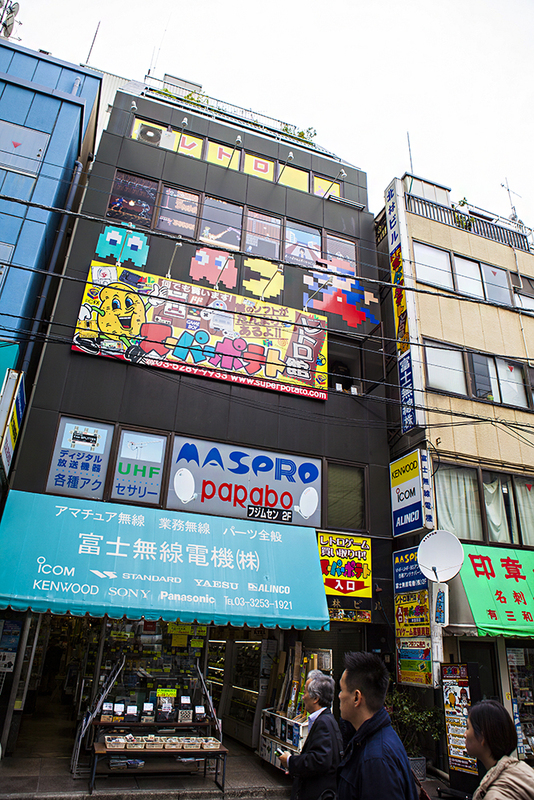 Super Potato has 4 floors, first floor is mainly cartridge games (famicom, super famicom, sega master system, mega drive, pc engine, game boy etc). 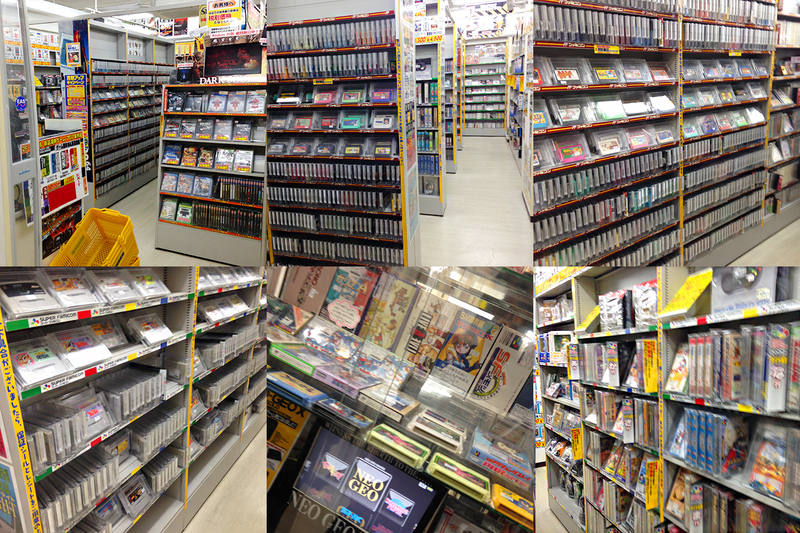 Second floor has some newer games like playstaytion, dreamcast etc. 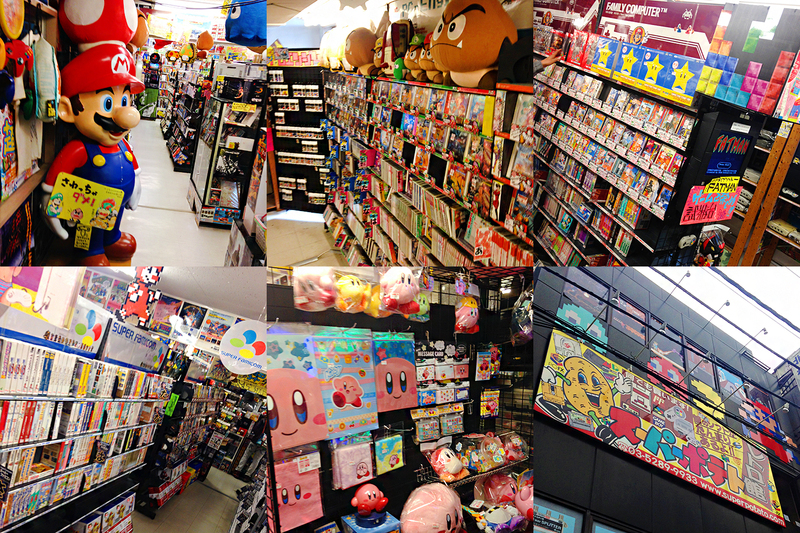 The third floor has mainly strategy guides to retro games and the fourth floor has retro arcade machines where you can play puyo puyo, pac-land, final fight, ghosts n’ goblins and a bunch of other old classics ^_^ Everything is very neatly displayed and they also have a bunch of merchandise. 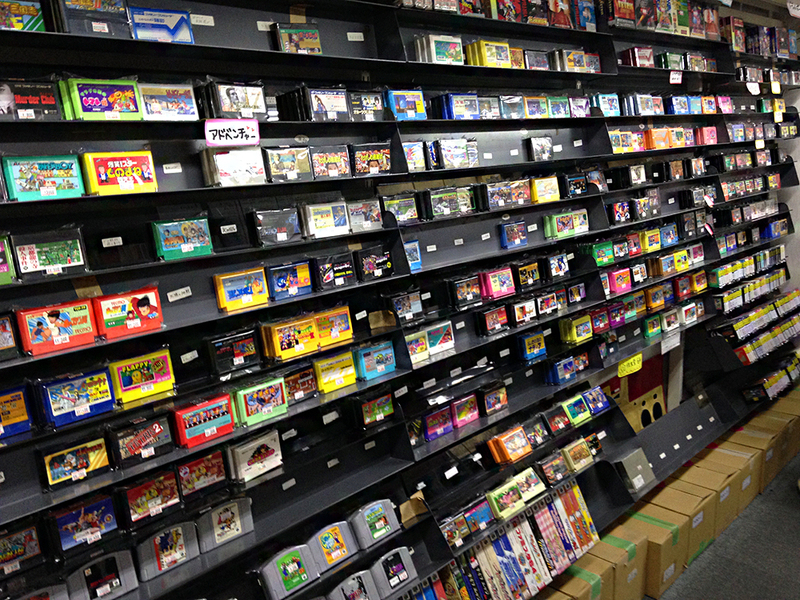 One thing that bugs me about Super Potato is that they have two giant shelves filled from top to bottom with famicom games and most of them are doubles. 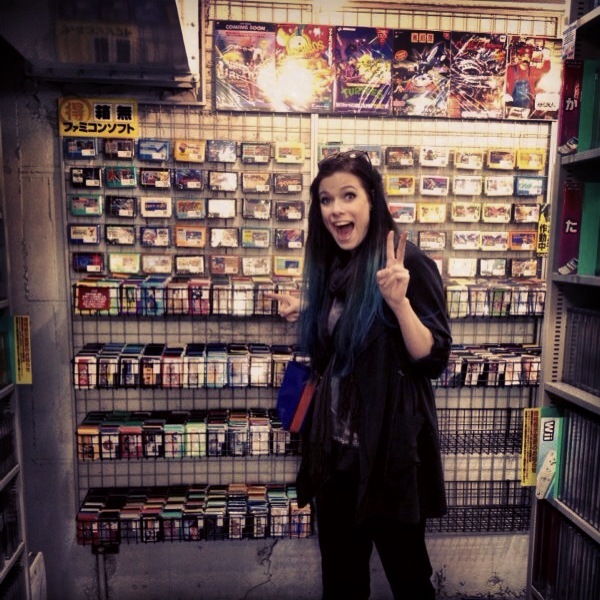 You will see the same game 10 times in a row sometimes, it makes it hard going through it all.. and time consuming. 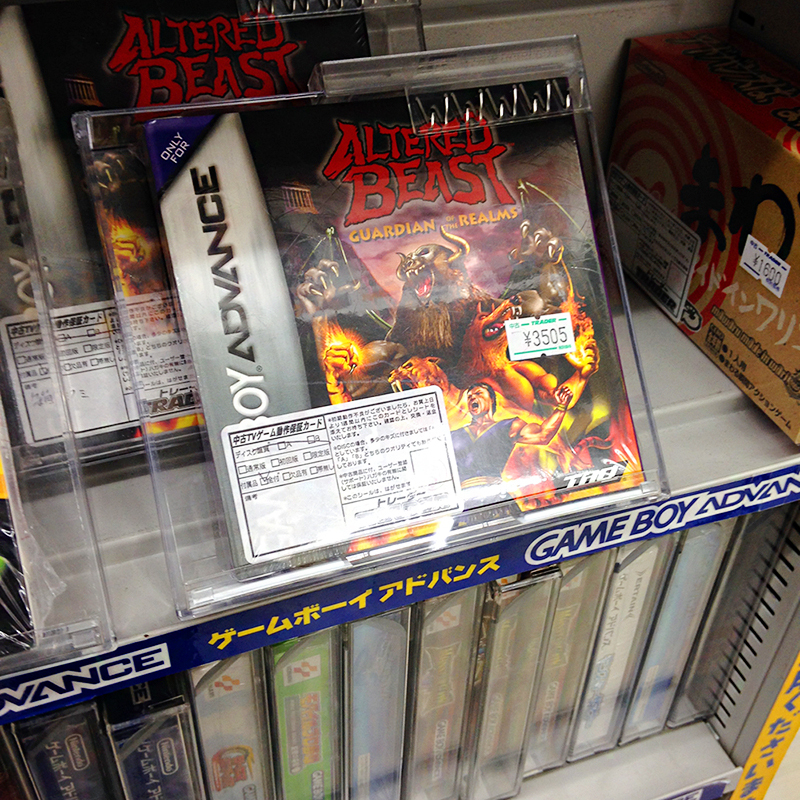 They have however put end labels on the plastic wrap of each game, but it’s written in japanese. 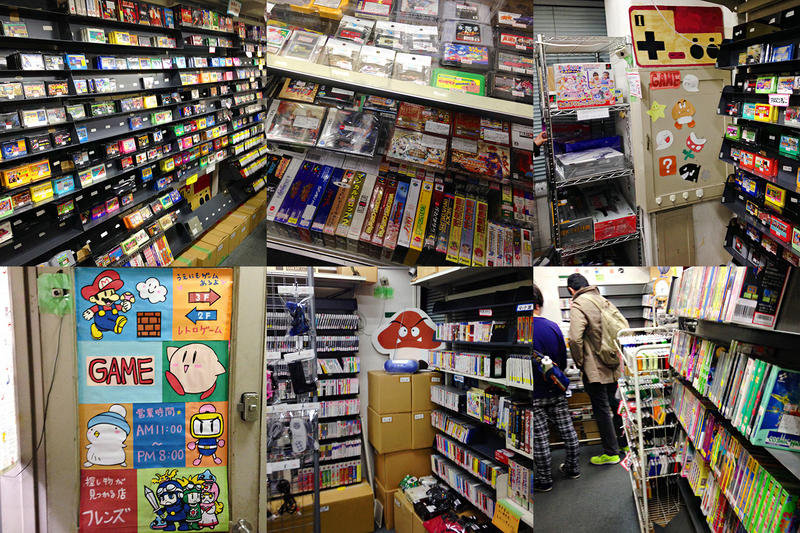 Next up is Mandarake Complex, I didn’t spend too much time here, but they had loads of retro games at reasonable prices! 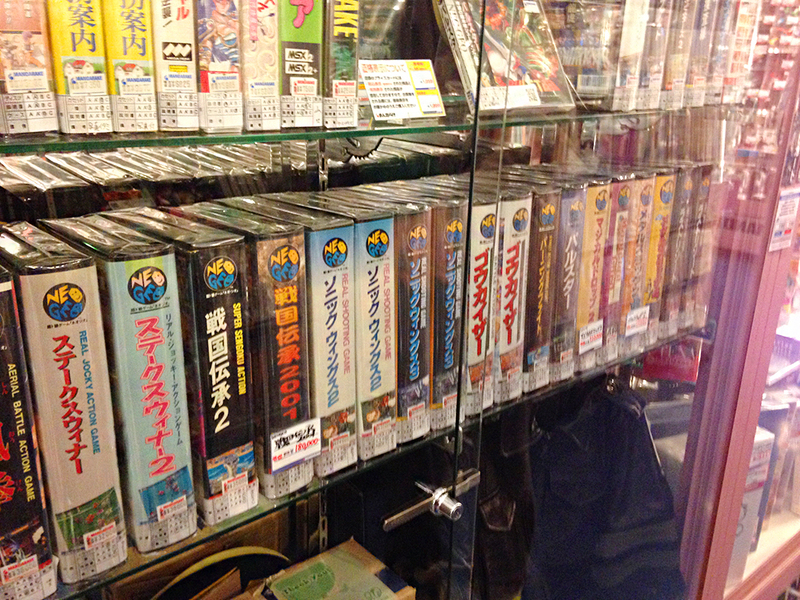 And so many boxed games in great condition ^_^ I saw a mint CiB Recca and I really wanted to buy it, but that game is almost just as expensive in Japan as it is on eBay… :( At Mandarake Complex all the games were in hard plastic cases, it made it a bit dull to look through it all, and hard to spot the games you were looking for.. 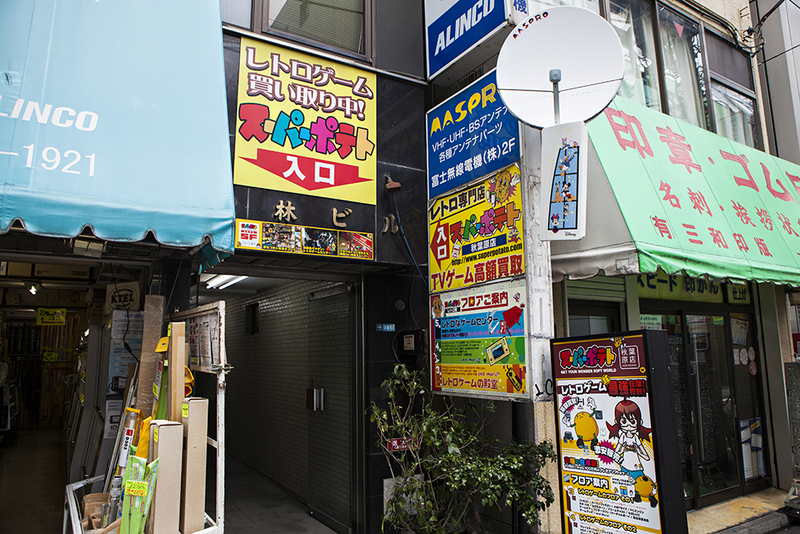 I did however spend more time at another Mandarake store in Nakano (Nakano is just one stop from Shinjuku station with the JR line, or three stops if you don’t take the chuo rapid line). 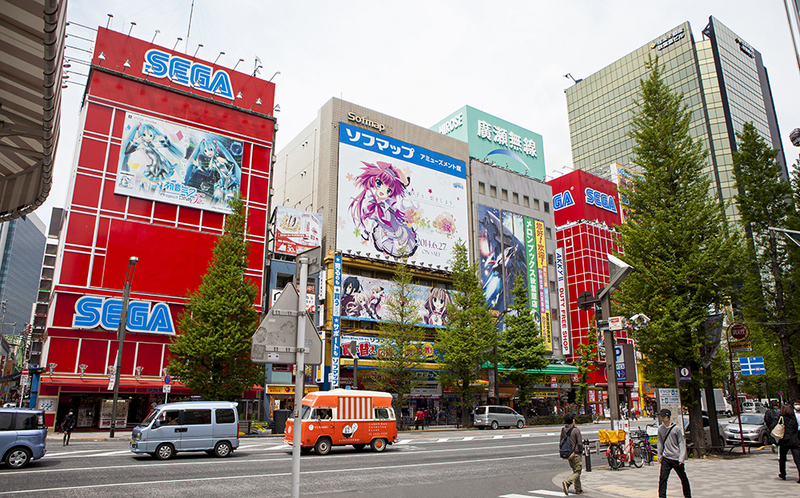 (Note that this store is NOT located in Akihabara and not pinned on the map above..). 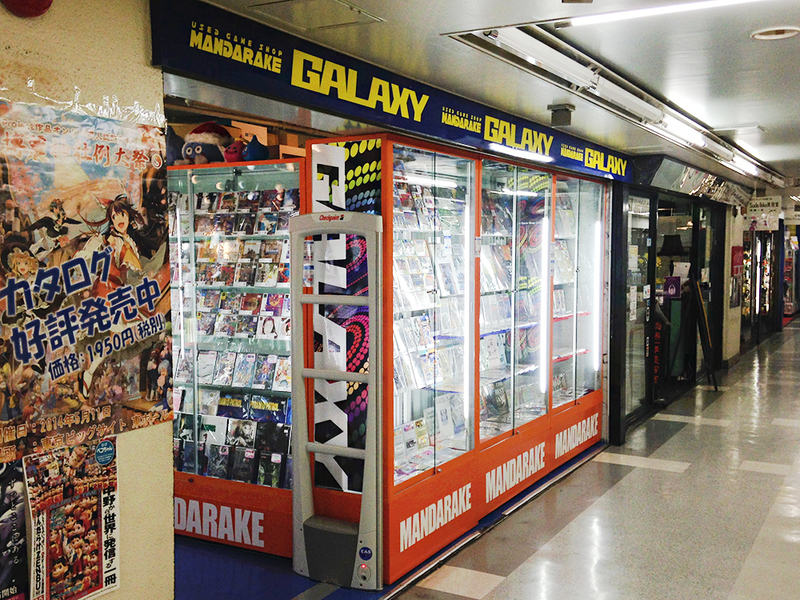 Mandarake Galaxy is located on the second floor inside Nakano Broadway, a mall that is just straight ahead after exiting the station. 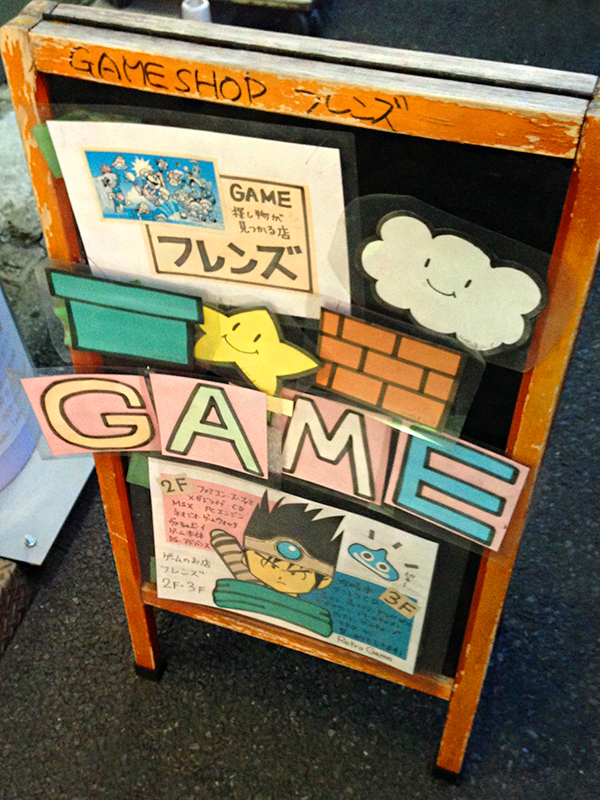 They had a lot of gems and I bought loads of games here, including Gimmick! 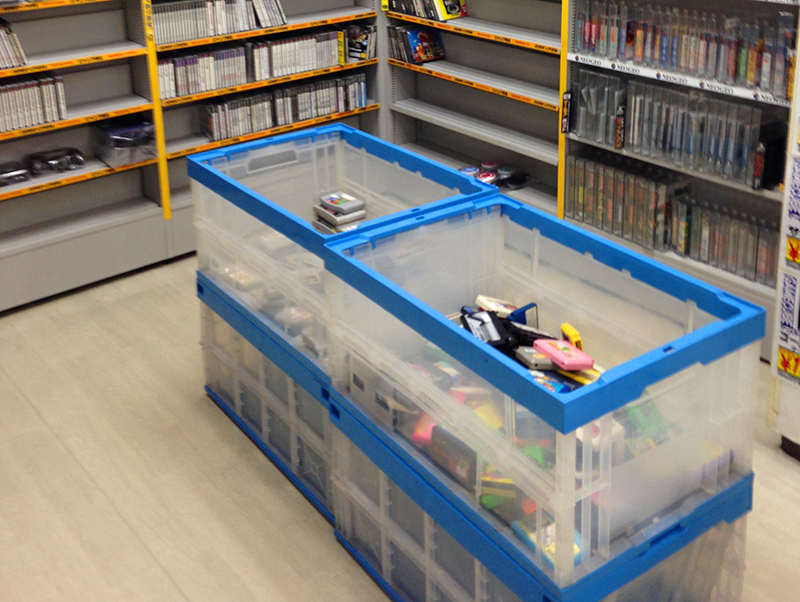 ^_^ They also had another cabinet inside where they had stuff that wasn’t for sale, just for show >-< Like the Sega Mega Drive Tetris!! 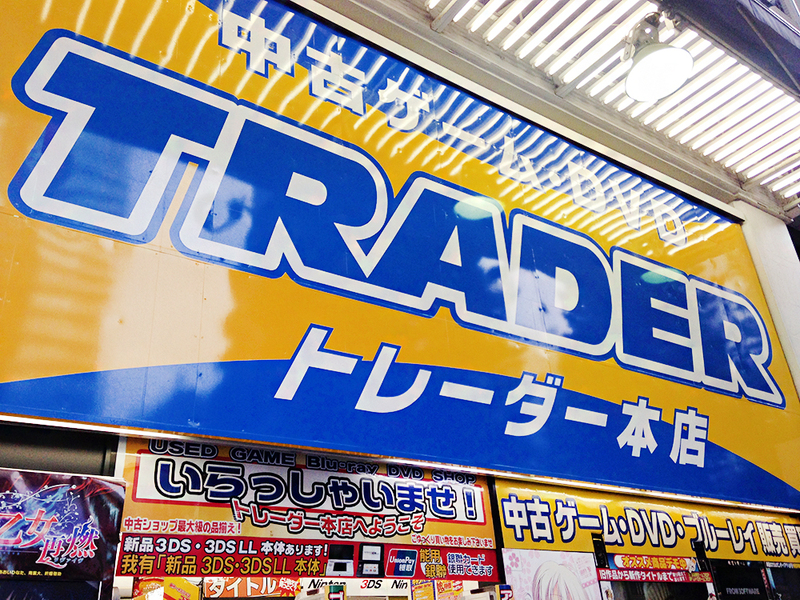 Next up is Trader in Akihabara, this is located just a bit further down the street from the two SEGA buildings. 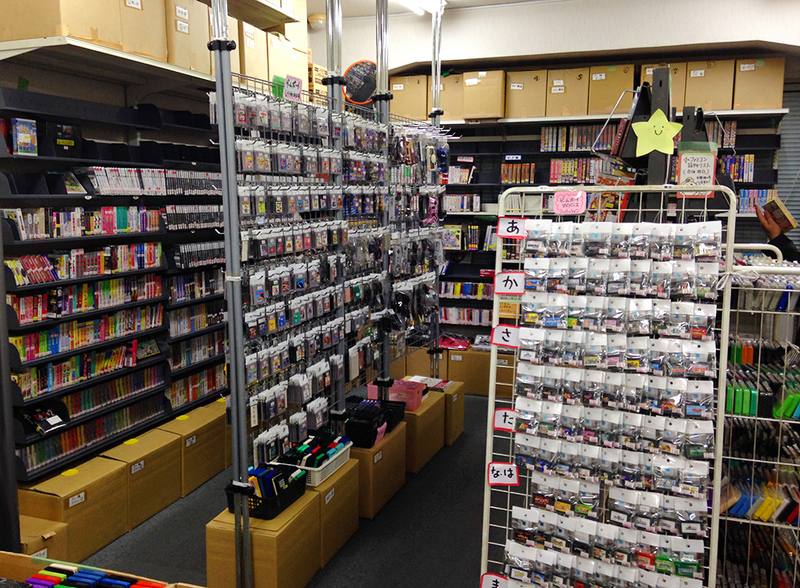 Just like in the Mandarake Complex in Akihabara this store had all it’s cartridges and boxed games in plastic cases. 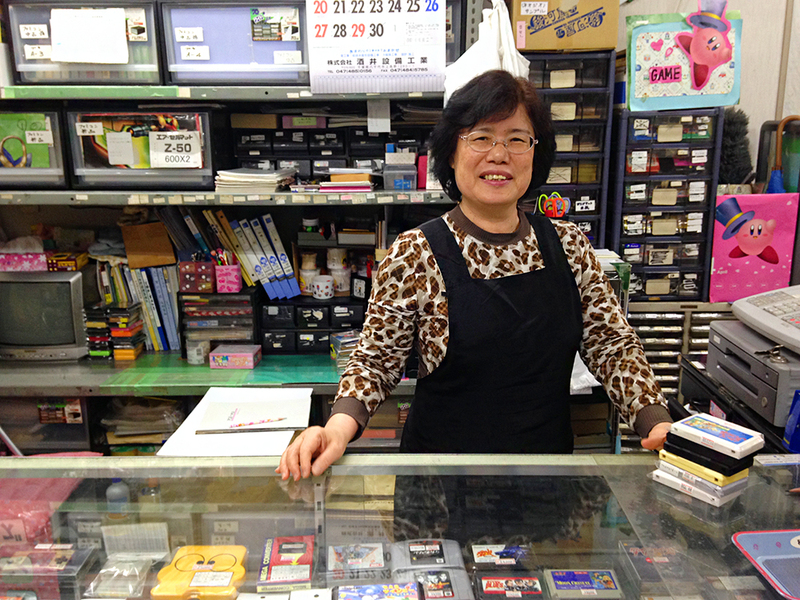 This makes it kind of hard to browse through loose Famicom carts.. 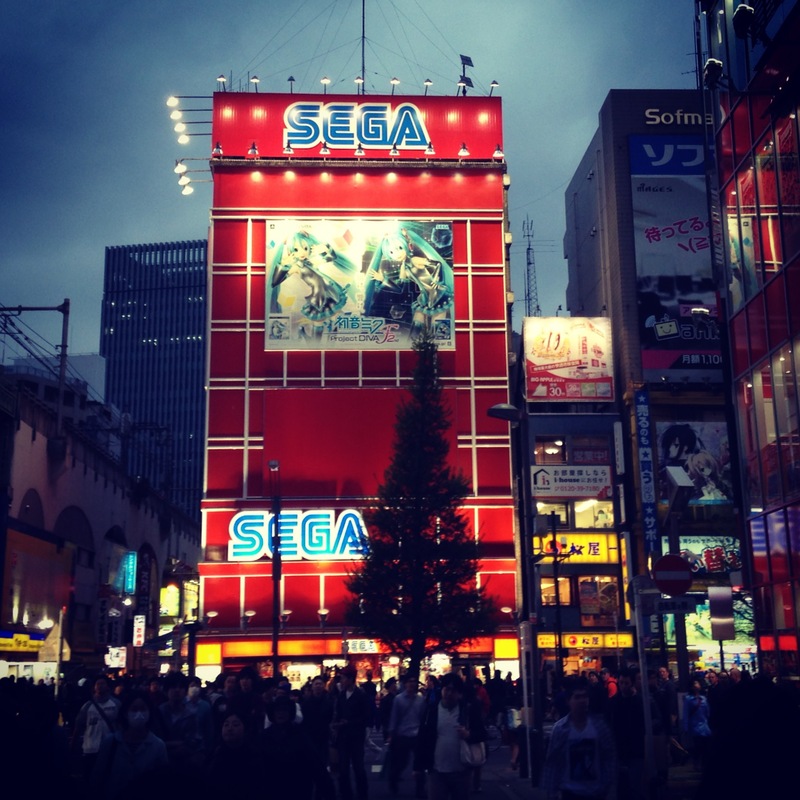 I bought a few games here though. 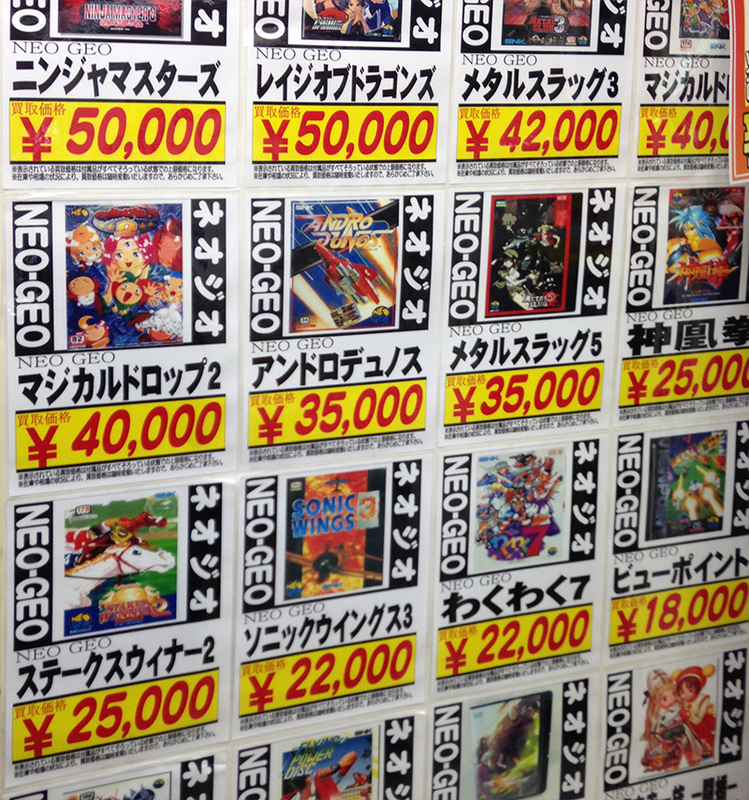 You could also get Neo Geo games here and other rarities. 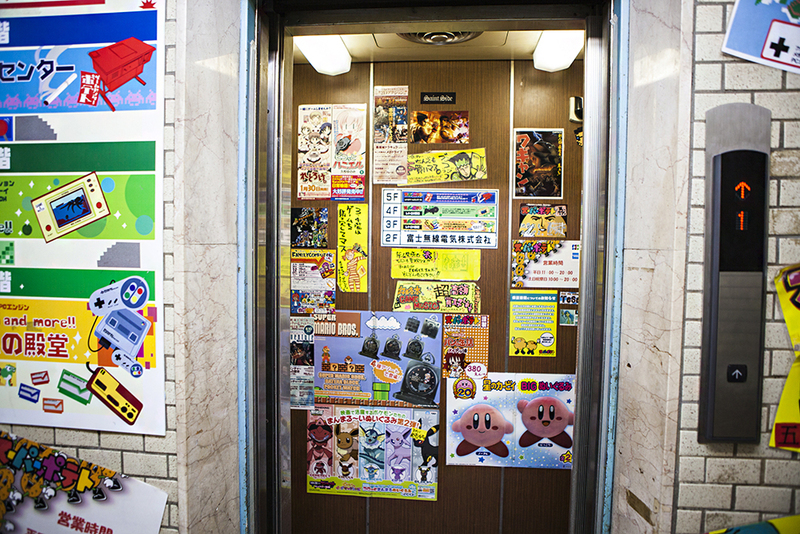 However they were not displayed, only by advertisements all over the walls. 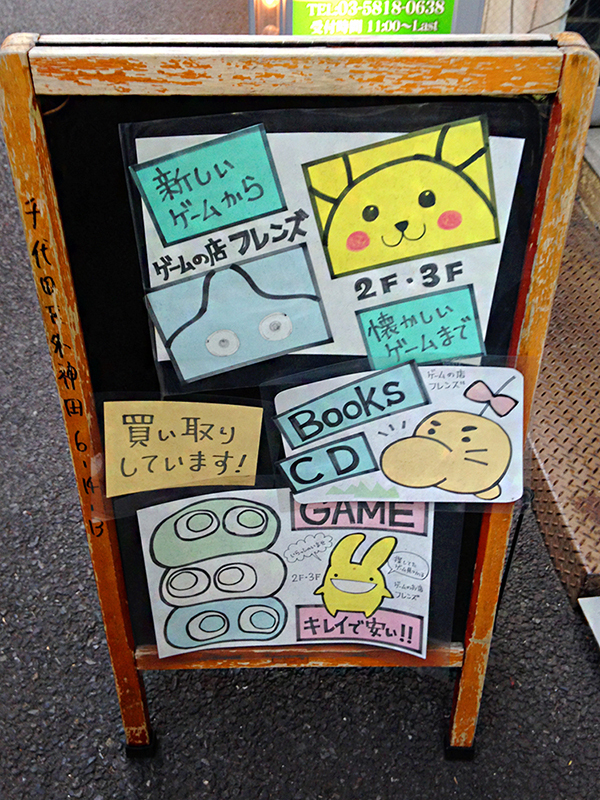 I guess you would have to go to a counter to order them. 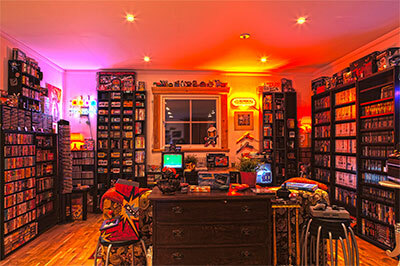 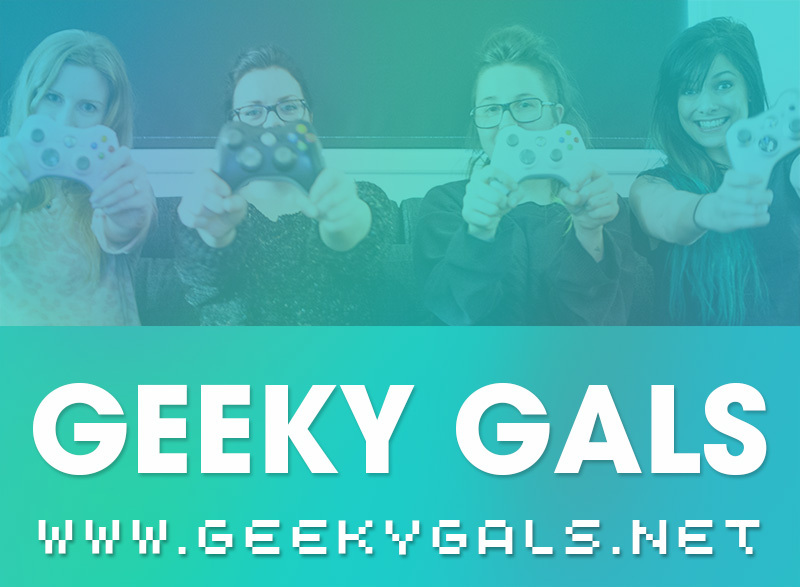 It was very small, but it was crammed with retro games! 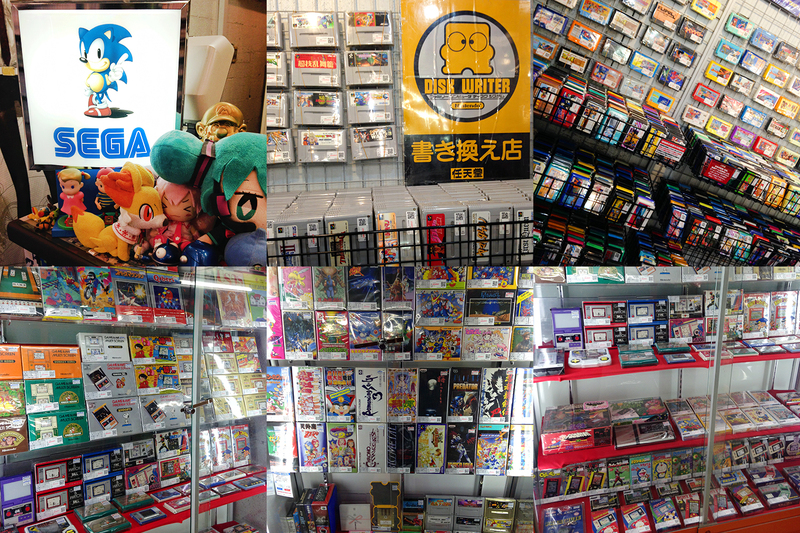 ^_^ And it was mostly very cheap :) It was really easy to browse through the Famicom carts, and they also had a bunch of bins filled with cheaper carts, around 100 Yen. 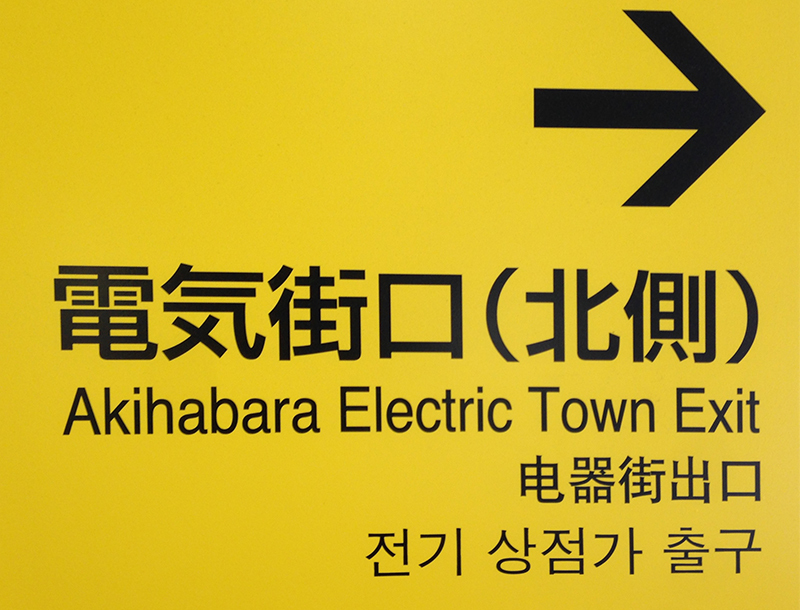 Apparently there was also a second floor, I didn’t have time to see it though. 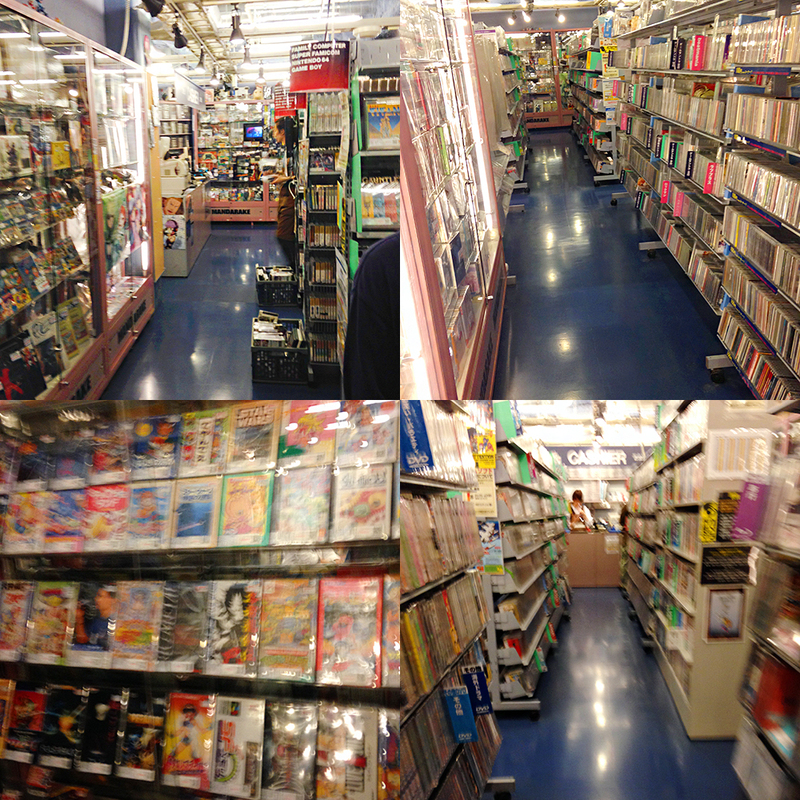 I was told they had Sega Saturn games and stuff like that upstairs.